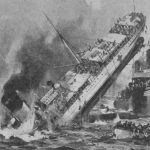 Guest writer, Sarah Reay, tells us the story of her Leeds grandfather, Rev Herbert Butler Cowl M.C., an un-sung hero from WW1 who was the only known Army Chaplain to be awarded the Military Cross Medal for exemplary gallantry on board a ship during the Great War. 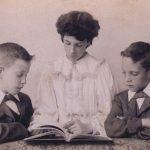 Herbert was born in The Manse, Headingley, Leeds, on 13 September 1886, the son of a local Wesleyan minister. He was brought up in a loving family home with his elder brother and sister. It is not known exactly when Herbert decided to become a Wesleyan minister and follow in his father’s footsteps, but his choice was to study theology at Headingley Wesleyan College (now re-named Hinsley Hall). As part of his studies at Headingley, Herbert would be invited to practise his new vocation preaching locally in the communities in and around Yorkshire. It was on one of these visits to the small village of Foggathorpe, that he was to see the girl who was to become his future sweetheart. 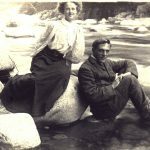 A love story began which included an adventure to Canada prior to the Great War. The Half-Shilling Curate, as he was affectionately known by his family, tells the very personal story of an Army Chaplain from Christmas Eve 1914 to the end of hostilities in 1919. His descriptive account, from his own personal letters to his mother and father, and his private writings, illustrate the value of faith during the war – the balance between serving God and carrying out his duties as a captain in the British Army. Herbert’s engaging story told of the man who matured from humble beginnings in Leeds, to the start of his journey discovering faith, love and a sense of duty and moral responsibility. At the outbreak of war he volunteered to become a Wesleyan Army Chaplain. Whilst serving on the western front in Flanders, his service was cut short when he was severely wounded during heavy enemy bombardment at the front. On his journey back to England he was placed in a cot bed aboard the hospital ship Anglia when she hit a German mine in the Channel. As a result of Herbert’s actions on that fateful day, he became one of the first Wesleyan Army Chaplains to receive the Military Cross for gallantry. His second battle was recovery and although he was never fit enough to return to overseas duties, he returned to work as an Army Chaplain in the Army Garrisons and Home Camps in England. Twenty years later, Herbert a Methodist minister with a family living in Acton, North London found himself in the centre of another battle – the Second World War, staying in London through the Blitz. Herbert’s story concludes with the final chapter of his life and the intimate observations of a spiritual man in this previously untold story of an unsung hero from Leeds in the Great War. Born and educated in Pembrokeshire, Sarah Reay lives in rural Northumberland with her husband and two sons. From an early age, her father, Michael Cowl (son of The Half-Shilling Curate) encouraged her to nurture an inquisitive interest in history. Sarah embarked on years of research in locations across England, France and Belgium to become a dedicated self-taught historian. 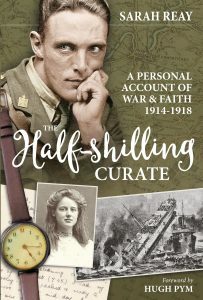 Discounted, signed copies of The Half-Shilling Curate can be purchased from www.halfshillingcurate.com. Alternative outlets are York Army Museum, Amazon, or it can be ordered through all mainstream bookshops. 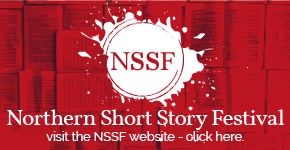 Previous story The Walter Swan Short Story Prize 2017-18. We Have Our Longlist!